have years of skill and expertise in. We value each and every one of our clients. Find out what they had to say about us. we provide? Send us a message. With over 100 years of combined experience, our attorneys have the skills and expertise to help you solve any legal problem, big or small. On your first visit, you are paired with an attorney who specializes in your area of concern. Your problem becomes ours. Our clients leave with great results and are happy to tell others about the personal and professional treatment they received at McNamara, Attorneys at Law. Each case requires individual care from a focused quality team. We dedicate time to learn what your case’s individual needs and requirements are. Our method is simple; to work closely with you in order to reach the best possible outcome. Our goal is that when you leave, you’ll have had such a great experience that you’ll want to tell others how well you were treated and what good results were achieved at McNamara, Attorneys at Law. With over 100 years of combined experience, our attorneys have the skills and expertise to help you solve any problem, big or small. Our method is simple. We will work closely with you to develop sound, effective legal strategies. 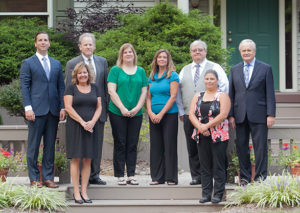 Located in the heart of Uniontown, Ohio, we pride ourselves on being your neighborhood law firm with big city experience. We will make a positive difference in your life by making your problem our own. We will support you as genuinely concerned, efficient, and professional advocates. President — Ultimate JetCharters, Inc.